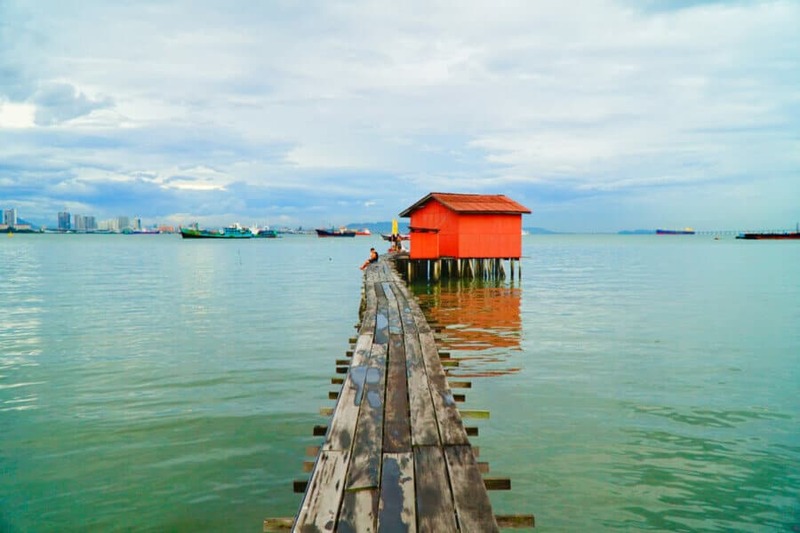 There are so many awesome things to do in Penang, a wonderfully rich and vibrant island just calling out for you to explore! 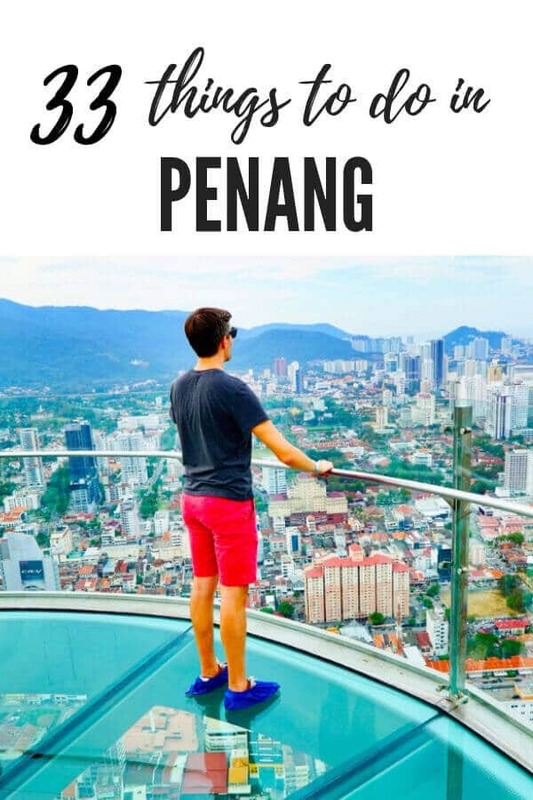 To help you plan your trip to Penang, I've put together this ultimate list of the 33 best things to do in Penang, including the best places to visit in Penang and the top Penang attractions. 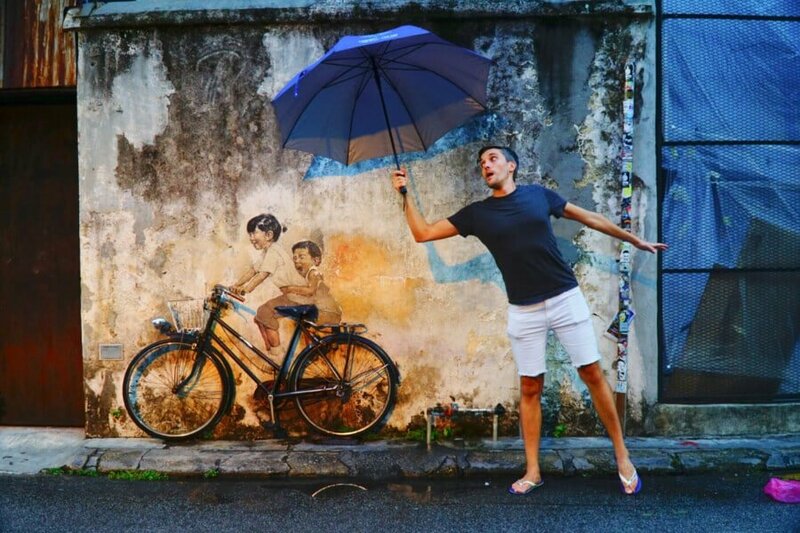 You definitely don't want to miss #6 (I think it's my personal top thing to do in Penang!). 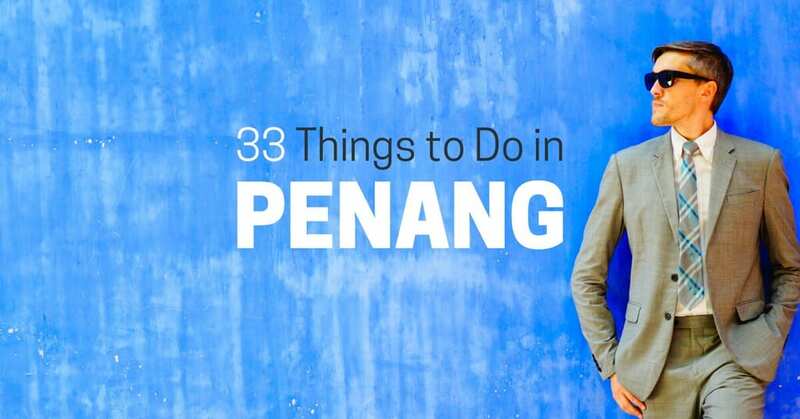 And be sure to check out the map of all these things to do in Penang at the end of this post! You can easily add it to your Google Maps with one easy click (that way you'll have this handy later!). Also see my comprehensive guide on Where to Stay in Penang. 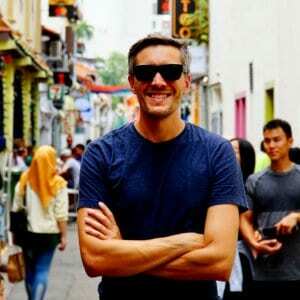 Disclosures: some links in this list of the best things to do in Penang may be affiliate links for which this site receives a commission. Fun with street art in Penang! If there is one thing that Penang's George Town is famous for it is the street art plastered all over buildings and walls across the town. The above photo of children on a bicycle is likely the most famous street art in George Town, but there are dozens of works to be found all over the city! I suggest wandering the area around Lebuh Armenian and Lebuh Acheh streets. It's a great free thing to do in George Town! Monkey Beach is a secluded beach buried inside Penang National Park. You can't drive here, so you'll need to either take a boat from the entrance to the national park (cost is around RM 50 per boat) or brave the 1.5-2 hour hike through the jungle to reach the beach. Once there, kick back and enjoy a drink while relaxing at one of Monkey Beach's shack bars. There are even very basic huts that you can rent and stay over night! 3. 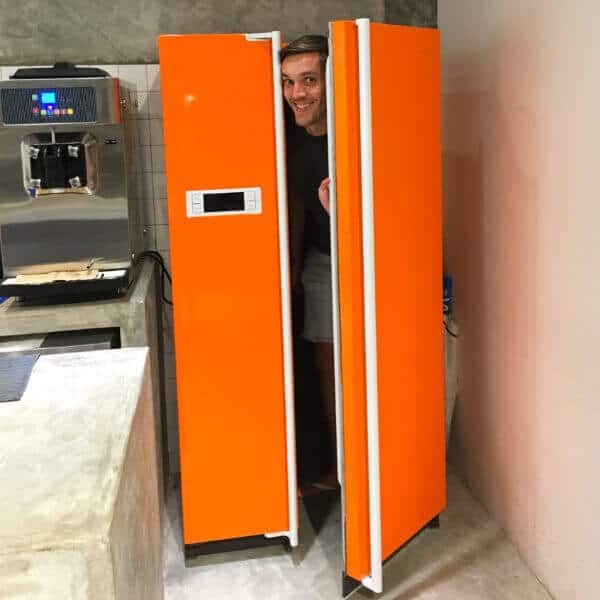 Visit a Speakeasy Inside a Refrigerator! Yes, this is the door to a speakeasy! 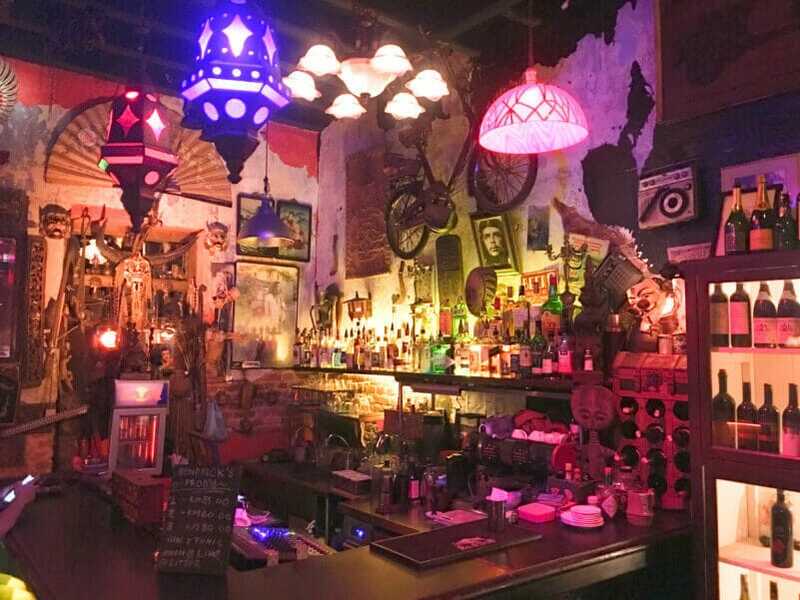 Perhaps the best cocktail bar in Penang in its own right, Out of Nowhere gains extra points for the unique way you access it. You'll need to head to the Hold Up! cafe and then go through the orange refrigerator (yes, really!) in order to get inside the secret speakeasy. There you'll find delicious hand-crafted cocktails in a stylish setting. It's a great thing to do in Penang at night! It may be the smallest national park in Malaysia, but don't count it out of your list of the best things to do in Penang. 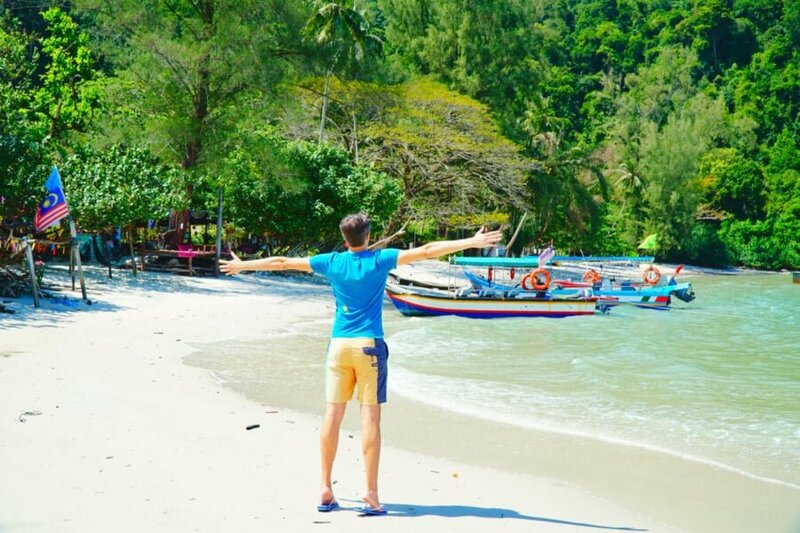 Located on the north-west tip of the island, Penang National Park offers several great hiking trails through the jungle, most of which will spit you out on one of the park's many secluded beaches! Be sure to pack extra water for your hike, and consider camping overnight in some of the huts available on the beaches. 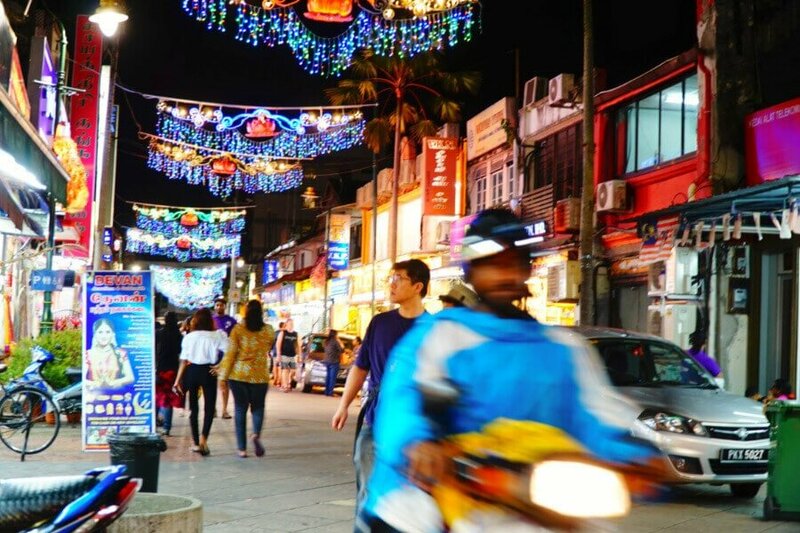 One of the best things about Penang is that it sits at a cultural intersection, with at least three major ethnic groups (Malay, Chinese, and Indian). Nowhere is this more on display than in the famous food scene of Penang! 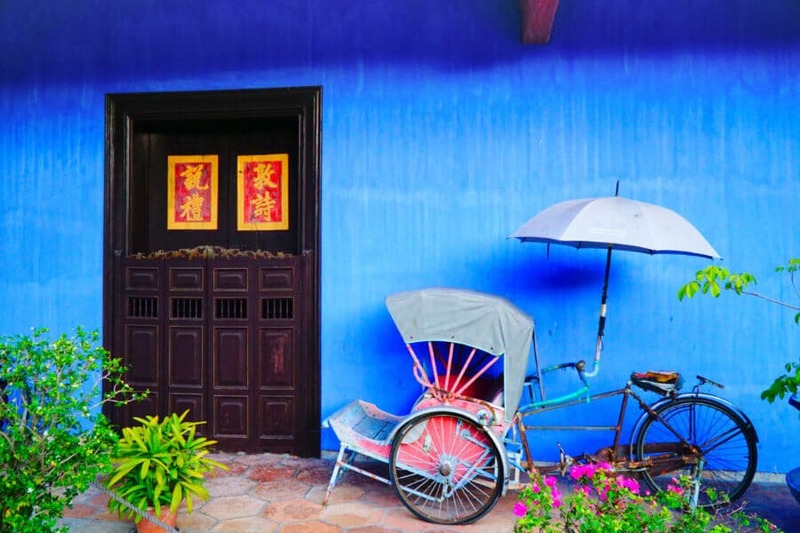 From street food to fine dining, Penang is a culinary tapestry just waiting to be explore. To see the best of it, consider joining a food tour and let an expert guide you through the city's food scene. Click here to browse Penang food tours. This is probably my personal pick for the absolute best thing to do in Penang! The Top at the Komtar is an entertainment complex at the pinnacle of a skyscraper loaded with great views and lots of fun (if a tad cheesy) things to do. 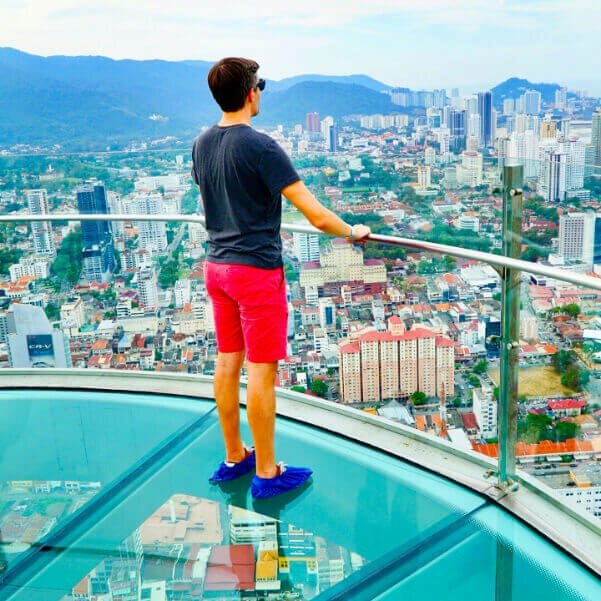 You can walk out over the glass "Rainbow Walkway" or sit and have a drink on the excellent rooftop (a great place to watch the sunset in Penang). If you're the daring type, you can even walk around the the outside of the tower on a ropes course! Come in the afternoon and stay for a drink on the roof at sunset! This charming mansion once belonged to a 19th century Chinese industrialist so famous he was nicknamed by The New York Times "The Rockefeller of the East." 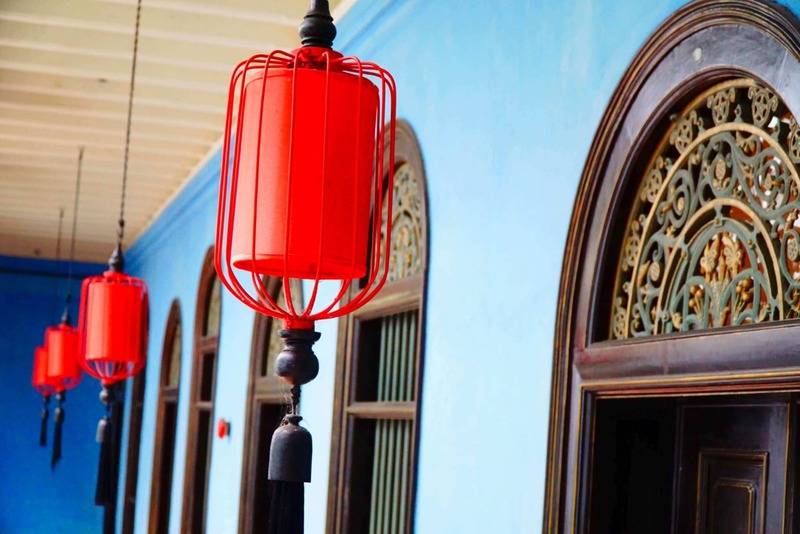 A major renovation in the 1990s won the Cheong Fatt Tze Blue Mansion UNESCO status, and its gorgeous interior has served as the set for multiple movies - including the mahjong scene in the blockbuster Crazy Rich Asians. You can visit as part of daily tours or, for a real treat, book an overnight stay in the hotel. Click here to read more about the fascinating history of the Blue Mansion! 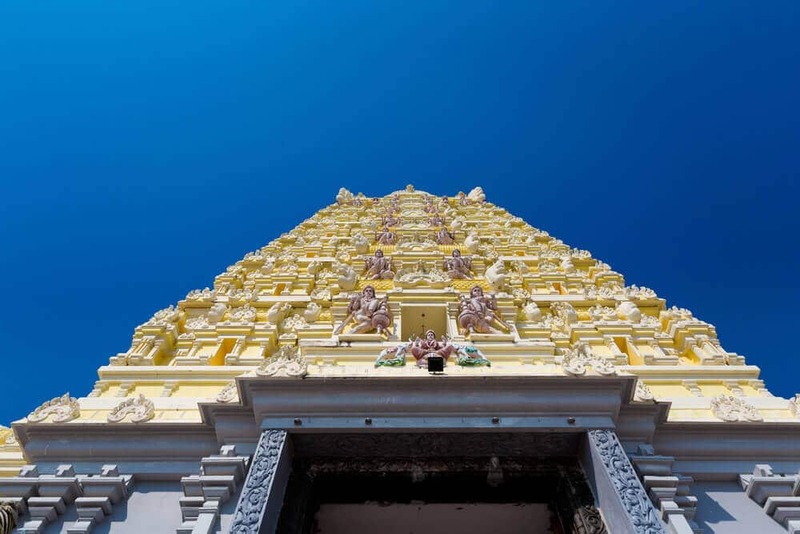 You'll have to climb 513 stairs to check this one off your list of things to do in Penang, but you'll be rewarded with some time to explore a fascinating Hindu temple honoring the deity Murugan. And you'll also be treated to spectacular views of the Georgetown skyline in the distance. Our next thing to do in Penang also involves a bit of an ascent (sensing a trend here? ), but at least this time you have the option to be whisked to the top of Penang Hill in a funicular! This funicular track is the longest and steepest in Asia, and will take you to the top of this former colonial hill station, where you'll be able to take in some incredible views of the island. Who knew that plants could be so interesting? At the Tropical Spice Garden, a popular eco-friendly Penang attraction, you can stroll through a garden showcasing 500+ species of herbs and spices. Guided tours are available, or you can take it at your own pace with an audio tour. And for a special treat, book one of their special night tours to see the garden in a different light. 11. Marvel at a "Floating Mosque"
The Tanjung Bungah Mosque occupies a unique position suspended out over the ocean, leading it to earn the nickname "the Floating Mosque." Only about a decade old, the structure is impressive and well worth a spot on your list of what to do in Penang owing to its unique backdrop of views of the city and the ocean. 12. 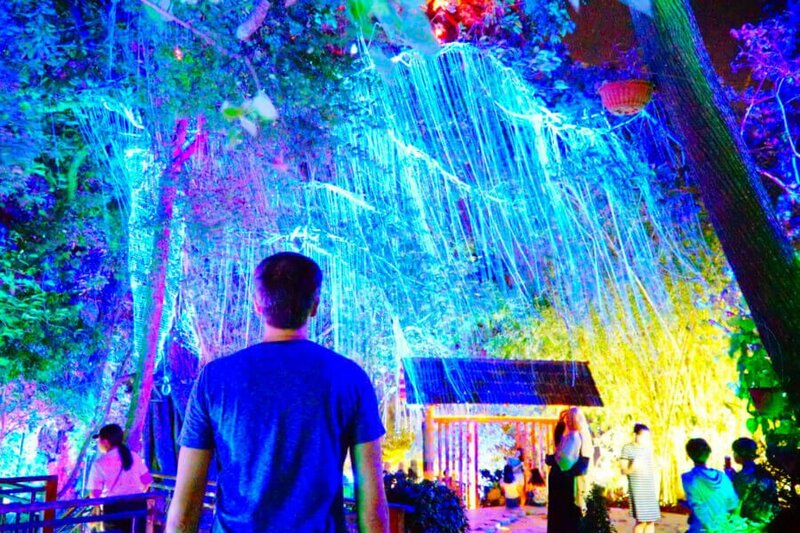 Escape to Another World at the "Secret Garden"
You'll feel like you've left the island and stepped onto the set of the movie Avatar at this unique thing to do in Penang. Located in the Tanjung Tokong beach area, this newly-constructed Penang attraction is small but a worth a visit in the evenings to witness the unique spectacle. One of the most wonderful things about traveling to Penang is the incredible mixture of cultures on this charming island. And nowhere do you get a better taste of that than in Little India. Wander the streets and just take in the sites, the smells, and the sounds. 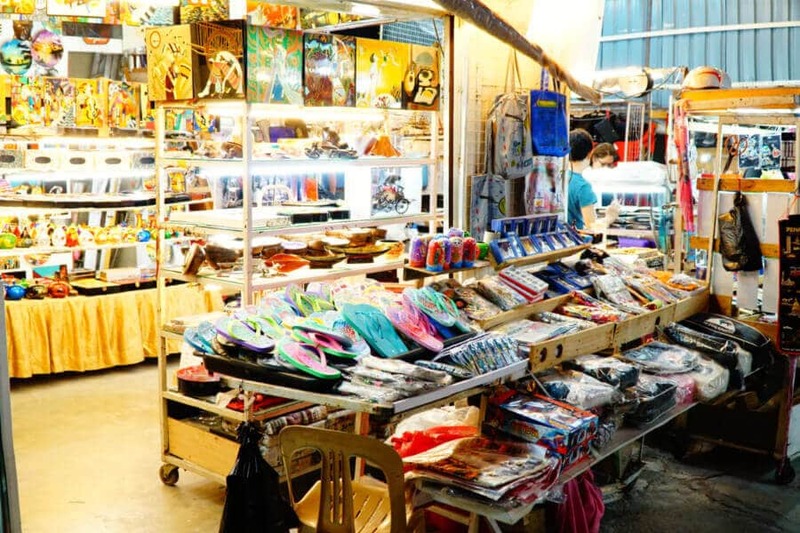 Browse local vendors, try some street food, and just generally get lost in the bustling ambiance of Little India. George Town's clan jetties are definitely one of the most unique attractions in Penang! What's a clan jetty? Well I'm glad you asked: clan jetties are basically stilted villages perched out over the water. There are several of them very near each other on George Town's east coast. Chew Jetty is the most famous and most tourist friendly, with lots of vendors and shops. Next door you'll find Tan Jetty (pictured above), which is probably the most photogenic of the bunch. 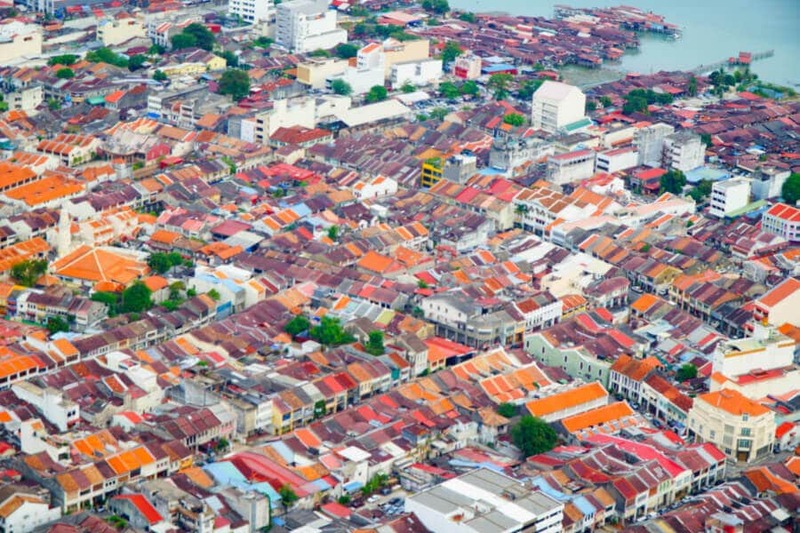 Another great free thing to do in Penang is to simply wander George Town's colonial old town. The entire area was declared a UNESCO World Heritage Site in 2008 and simply strolling the streets and admiring the architecture is a can't-miss bucket list item for any vistor to George Town. The Batu Ferringhi beach is probably the most popular beach in Penang, and it is certainly the most accessible. The beachfront itself offers really nice sand and decent, if not perfectly clear, water. You can partake in various water-sports here: jetski rentals, banana boat rides, and parasailing vendors are easy to find throughout the beach. There are also a small handful of beach bars - Bora Bora being the most popular. There are way too many hawker street food markets and stalls in Penang to list them all, but you definitely have to putting eating hawker food on your list of things to do in Penang. 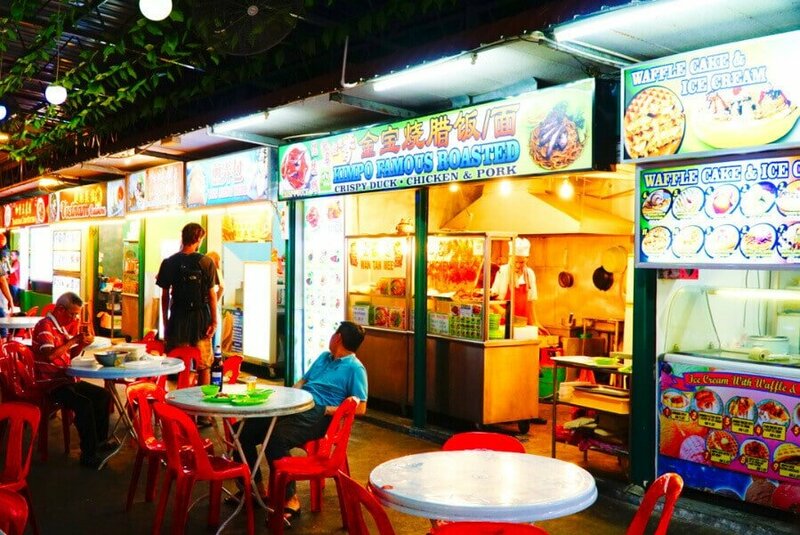 Here is a good rundown of some of the best hawker stalls in Penang. Oh, and be sure to try Char Koay Teow - the pad thai-like noodle dish that is famous in Penang! A trishaw is basically a type of traditional rickshaw where a bicyclists push you in a chariot. Although no longer really a traditional way of getting around Penang, you can find trishaw drivers offering you rides around George Town's old town and even in the Batu Ferringhi area. Sure, it's a little corny but it's a fun and unique experience to have in Penang! One of the largest Chinese Buddhist temples in Southeast Asia, Kek Lok Si is definitely one of the top Penang attractions on the island. It's a small walk up followed by a quick lift ride (cost 3 RM), but for a real treat trek all the way to the pagoda at the top for some incredible views. Here's a report with some more details on how to visit. 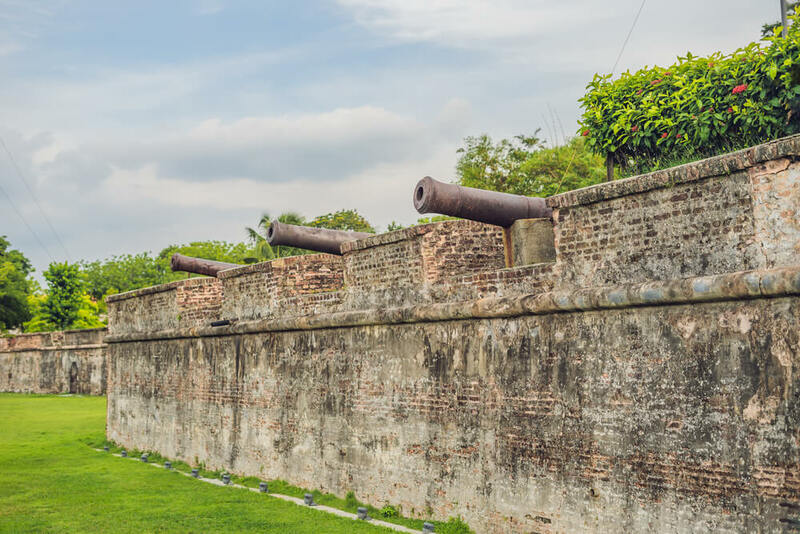 Built by the British East India Company in the late 1700s, For Cornwallis is the largest remaining fort in Malaysia. Still, you have to keep your expectations in check: if you're used to forts from Europe or Latin America, you may be a little underwhelmed. Nonetheless, it's easy to access location in George Town makes it worthy of consideration on your list of things to do in Penang. Your friends will wonder how you got those crazy shots of you standing on the ceiling! Sure, it's a bit of a touristy thing to do in Penang, but there's no denying the appeal of the Upside Down Museum in Georgetown. This quirky mini-museum is filled with exhibits where everything is - you guessed it - upside down! The staff are happy to help you take photos (that's kinda the whole point, right?). This unique dessert creation is definitely one of the tastiest things to do in Penang - and both locals and visitors alike go crazy for Rollney. 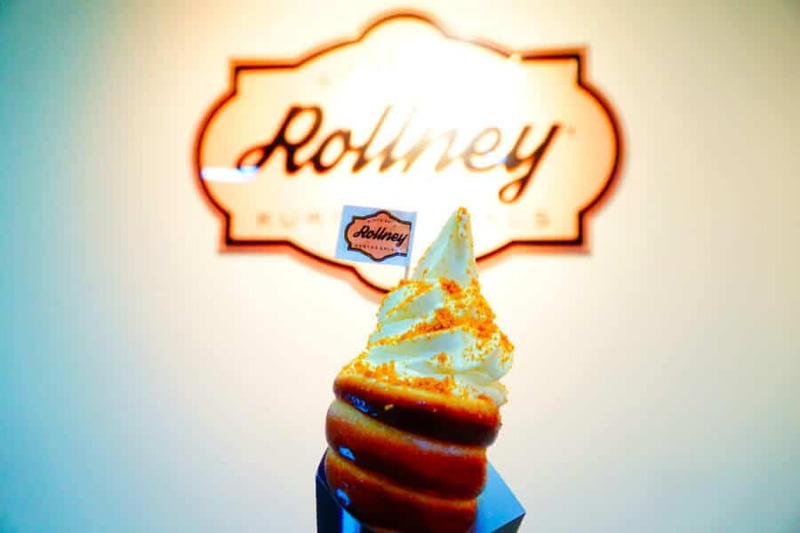 The creators at Rollney take Kurtos Kalocs (which is essentially Hungarian chimney cake) and put their own twist on it by turning the cake into an ice cream cone. Trust me when I say your taste buds will be watering! One of the most popular things to do in Penang with kids is to pay a visit to the Entopia butterfly farm, where you'll find the Natureland - an indoor living garden filled not just with butterflies but with all kinds of invertebrates. You can also visit the Cocoon, a two floor learning center perfect for the younger folk. You're either going to love it or you're going to hate it. But there is only one way to find out! If you've never heard of it, durian is a local fruit that is uber-popular in Southeast Asia. But here's the thing: it reeks. Really badly. So badly that most hotels and public places ban durians! Still, many locals find the sweet fruit completely irresistible - and maybe you will to! You can find street vendors selling pieces of durian all over the island, and it's definitely something you should try while in Penang. Just be sure to ask for a plastic glove to eat it so you don't get the smell on your hands! A stunning mosque located in the heart of George Town, Masjid Kapitan Keling Mosque was built by Indian Muslim traders over 200 years ago. It was an important part of George Town's successful bid for UNESCO World Heritage status. 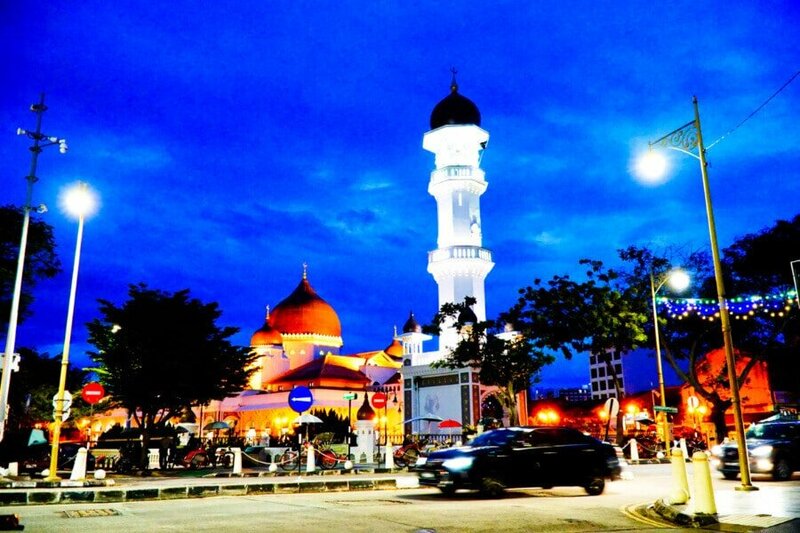 The mosque is a place to visit in Penang that you should definitely at least walk by to admire from the outside. While visitors inside are permitted, you'll need to make sure you are properly attired. Depending on how you look at it, the Junk Cafe either feels like a bar and restaurant inside an old antique shop, or what it must be like to attend a party at a hoarder's house. The eclectic interior of the cafe makes it a great place to visit in Penang in its own right, but the food and drinks are also on point! Sure, Malaysia generally isn't exactly known as a party destination. Alcohol is much too expensive and restricted for that. 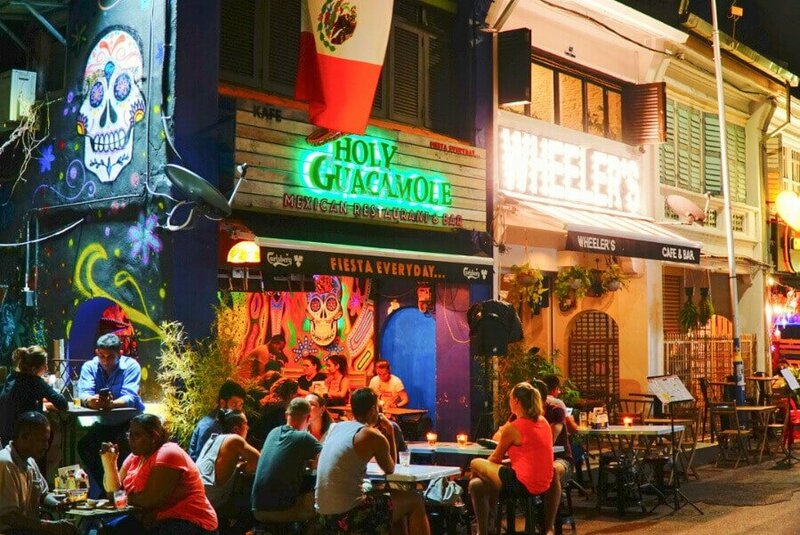 But, still, the nightlife area around the intersection of Love Lane and Chulia Street could give just about any other backpacker district in Southeast Asia a run for its money! Look out for happy hour specials to keep the cost of drinking as reasonable as possible. Ok, maybe I'm being a bit over-the-top here. But I'm a vegetarian and I've tried a lot of falafels in my life. And none of them hold a candle to the fresh, made-in-front-of-you offerings at the small street vendor you'll find parked in front the Reggae Club on Chulia Street. I was so smitten by the dish that I went back multiple times and yet was always too distracted to even take a photo! 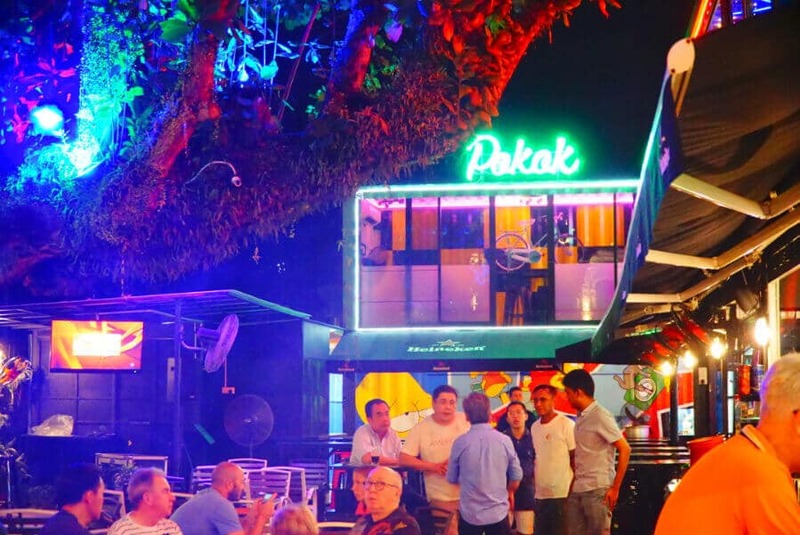 There are lots of cool bars along Chulia Street, but my favorite bar in George Town is Pokok. It's got a large open air outdoor seating space and a funky second-floor interior space. Best yet, most nights you'll be treated to live music. Definitely a great place to chill in the evenings in Penang. Let me be honest: night markets aren't really my thing and I didn't love this one in Penang. But the Batu Ferringhi Night Market definitely is widely considered one of the top places to visit in Penang, so I'm including it here nonetheless. Starting around sunset every evening, you'll find vendors lining the road selling nearly every type of trinket or clothing imaginable. 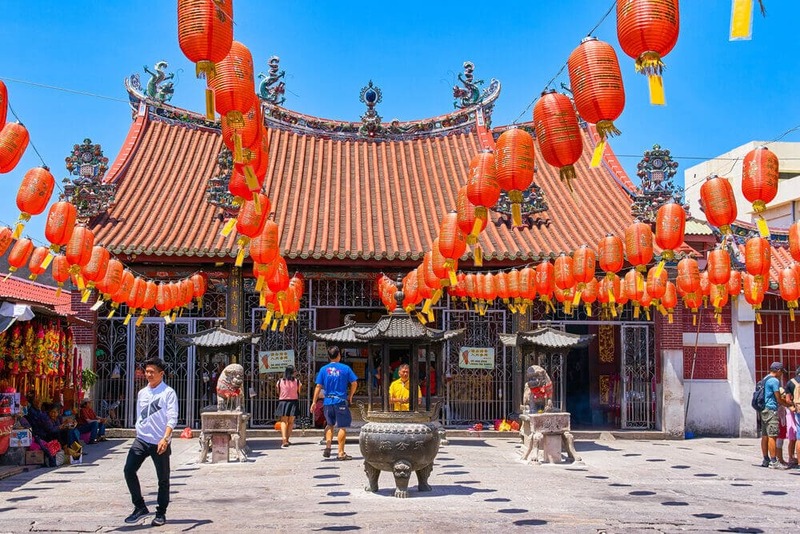 I tried to limit the amount of temples on this list of the best things to do in Penang, as otherwise it might just become a list of temples in Penang! But, still, the Goddess of Mercy Temple has a unique style and is definitely worth a quick visit. Instead of spending your money on souvenirs and trinkets you'll never use after your Malaysia vacation, why not take back a skill instead? Spend an evening learning how to make traditional Malay food is definitely a unique experience in Penang! Wow that's a lot of awesome things to do in Penang right? To help you hit as many of them as possible, I've organized them with this nifty little Google Map. 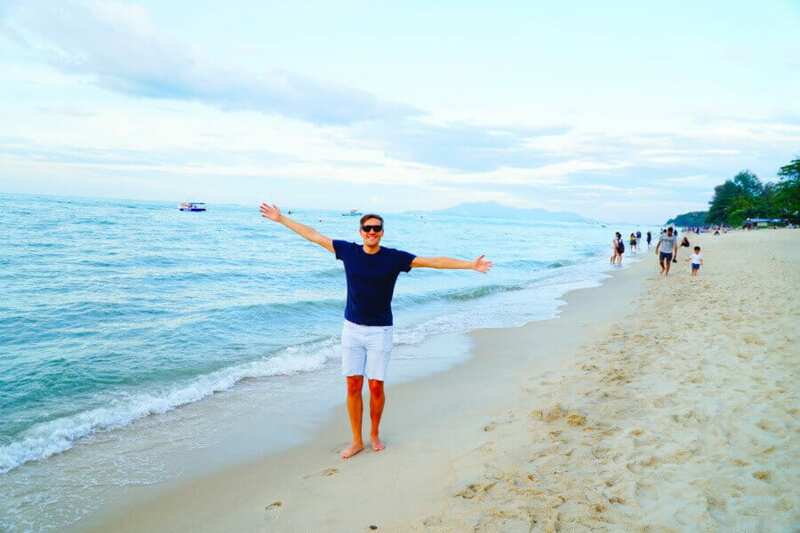 Check out my complete guide to finding the best places to stay in Penang. 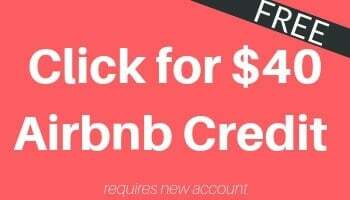 Or click to get $40 free on Airbnb for new accounts and find an apartment on Penang! Are You Covered in Case of Emergency? Do you have travel insurance for your trip to Malaysia? If not, click here for a nice site that will search hundreds of insurers to help you find a cheap policy that will cover you!